Auto – Available for Adoption! Dislikes: Still very leery of humans. I will need a forever home that will be patient with me. I was rescued by PPN from an auction in Missouri. 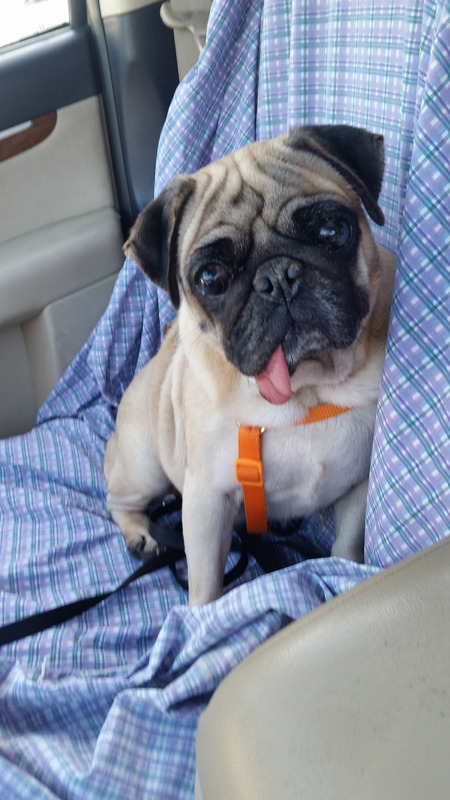 Since being rescued I am learning what life as a pampered pug is all about. I’ve got to tell you I am a liking it! It does make me a little nervous all this love and attention, but my foster mom says I am warming up wonderfully. I love being around other dogs. I’m friendly like that. I am learning that getting my ears and chest rubbed can make a pug just melt. I’ve even started requesting it. I love following everyone around. I still get a little nervous changing surfaces; carpet to linoleum, house to yard/grass/deck. I’m very interested in the freedom I have now, but boy is there a lot of new things in my life! I haven’t quite mastered using stairs, but I’m a smart boy I’ll master it eventually. Same can be said for this potty training thing. There is soooo many interesting things to mark as my new territory. My foster mom uses a “belly band” on me. It’s like a male diaper. I can’t mark in the house even though I do try. Little kids can be a little scary for me. They move way too fast for my piece of mind. I like to observe them though. 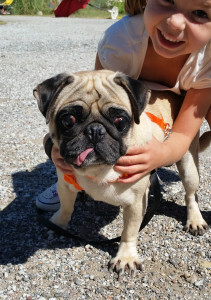 My foster mom says I will be a wonderful loving pug. I just have a few things to learn first. I just need someone that is willing to be a little patient and teach me. I am a healthy boy. I weigh 21 lbs., been neutered and had my dental completed. I use eye drops for dry eyes and I see and hear well. I’m energetic and after mastering using a leash I will love going on walks. I like car rides and I sit well in the car. Interested in adopting Auto? 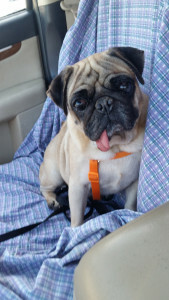 Please see our website and fill out an application at: www.pugpartners.com/adoption-application Auto’s minimum adoption donation is $325.